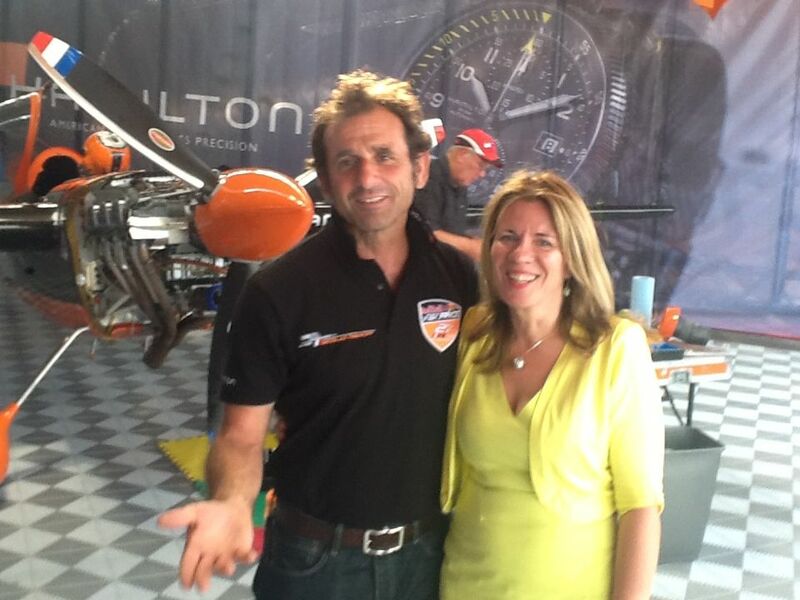 No Bull this time – just admiration for a great air race! Last Friday evening saw me head out to Ascot with my former flying instructor Tim Baish (who’s setting up an interesting new business, which I’ll keep you posted about as it unfurls). 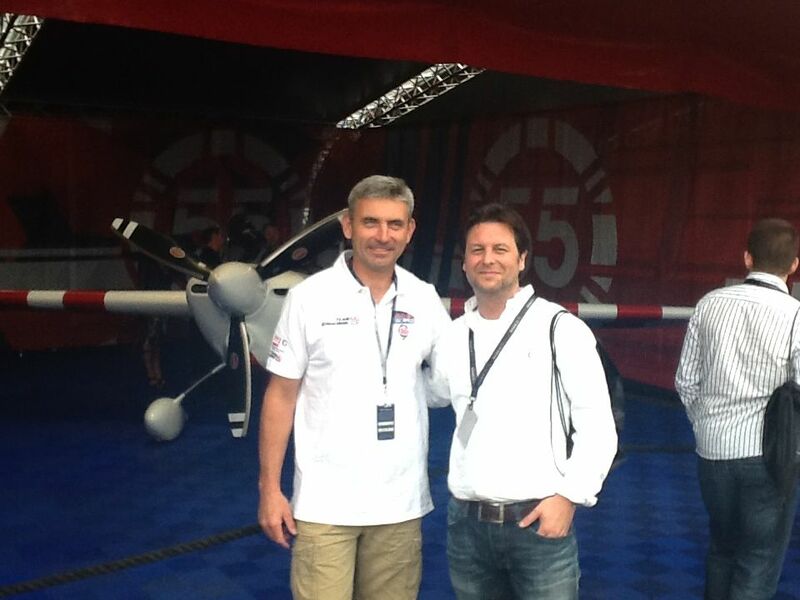 We were guests of Cirrus at the pre Red Bull Air Race event, and the party was a casual yet deluxe affair with plenty of great food, drinks and most importantly, company. The pilots were all on hand to meet us and were unfailingly polite and happy to chat, despite the fact they were prepping for an intense weekend of competition. 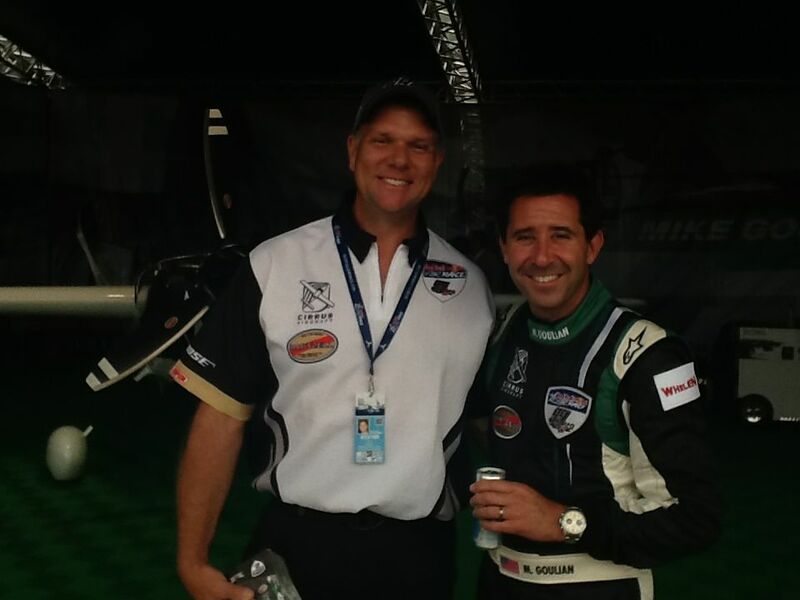 I was happy to see my pals Greg Gibson (Mike Goulian’s support team) Nicolas Ivanoff and Jean Paul Kieffer (Nicolas’ team coordinator and photographer) and the fabulous Jim DiMatteo (Red Bull Race Director) from Oshkosh a fortnight ago, who were perfectly happy to carry on larking around with me. For those of you looking for more in-depth coverage of the fantastic event – go to Jets Magazine or Flyer Magazine for those superb editors and pillars of British GA magazine journalism Steve Bridgewater and Ian Seager were there, too. 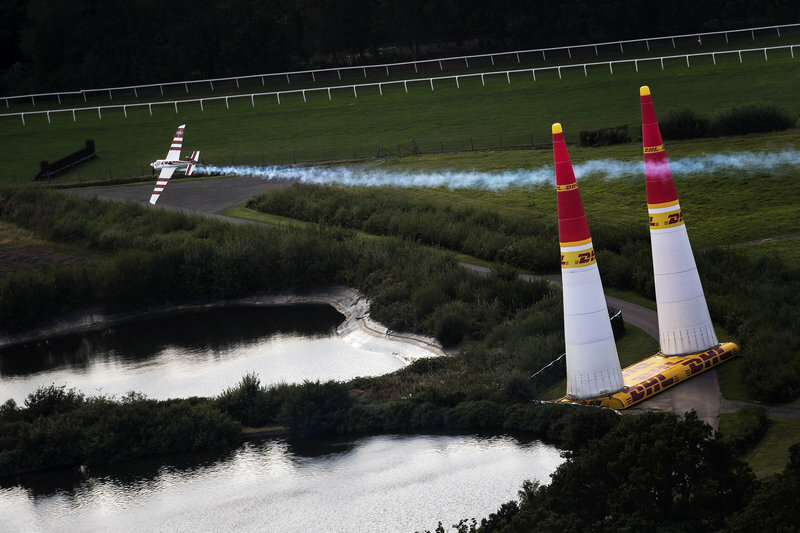 This Sunday at Ascot – (and discerning readers will note how much of this text is nicked from the Red Bull site..) in front of a 30,000 crowd – Britain’s Paul Bonhomme produced a stunning flight to secure victory in the thrilling Final Four round, stopping the clock at 1m 11.579s. His flawless flying edged fellow Brit and birthday boy Nigel Lamb into second place with a time of 1:11.750, while France’s Nicolas Ivanoff (1:11.884) claimed third. The win moves him to within two points of current championship leader Hannes Arch after the Austrian suffered his worst result of 2014 to date. He now leads Bonhomme 43 points to 41 heading into the next round at the Texas Motor Speedway in Dallas on September 6–7, and with just three rounds of flying left in 2014, the championship battle between to duo looks set to be a thrilling one. 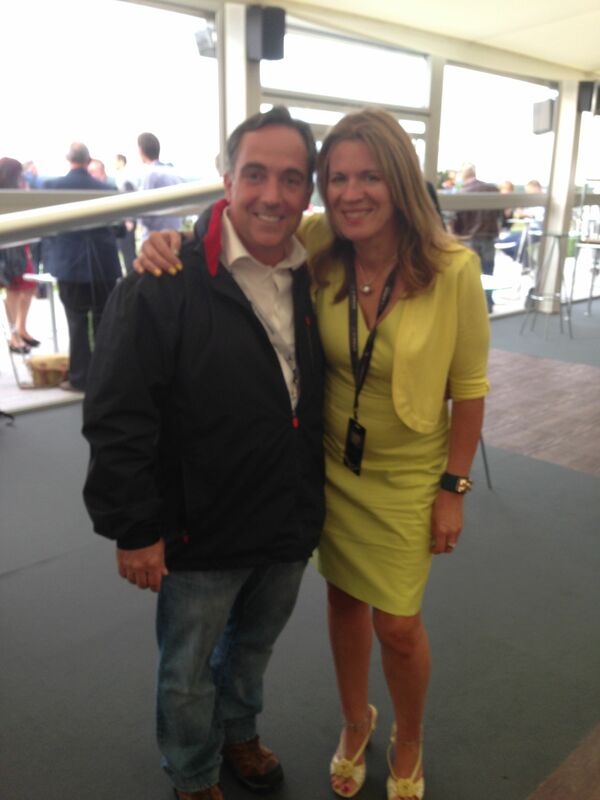 Am aiming to be at Vegas to watch, so will keep you posted!